This is the third instalment of my brief look at traditional NZ cuisine, which I do hasten to add is 'traditional' fare and not what is eaten on a day to day basis . . . just as the French do not eat frogs legs and snails everyday. In the last two weeks we have looked at meat and vegetables, so this week it is the turn of the mighty seafood, or kai moana (ky-more-are-na) in Maori. Kai moana are very important to the Maori, from being a great food source, to the shells and bones being used for decorative use and making certain tools out of. We do have a lot to be thankful for here in Aotearoa (are-or-te-are-ro-ah) which is the Maori for New Zealand and means 'the land of the long white cloud'. Where seafood is still abundant and easily obtained. perhaps fresh water black mussels (kakahi) are more to your taste? fish freely for salt water fish from mackerel to grouper, from the large game fish; marlin, shark and tuna to stingray. or if you are a freshwater angler; try the trout or salmon and the licence covers most rivers and does not confine you to a given spot! for fishing without a required licence there is always the tuna heke (freshwater eels) of which there are two species . . . what a paradise! Enjoy these dishes and join me next week for the final NZ instalment; how to cook a hangi, so it's haere ra from me and haere ra from him, until next week! These are the round spiny creatures that can be found all over the world, they are a very highly prized delicacy in parts of Italy. When dried and the spikes removed they have a very pretty shell that many tourist purchase when holidaying in the pacific. They are best in early spring when they have a sweeter taste. The edible part ranges in colour from a pinkish brown to yellow to dark brown and has a sloppy texture to it. They are more commonly eaten raw straight from the shell, like oysters, but can also be cooked or made into a chowder. Also known in New Zealand as crayfish. 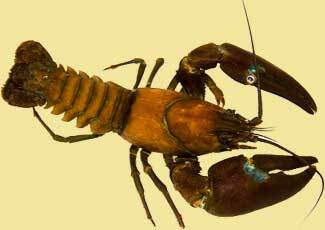 These differ from the European lobster in that they have no massive claws and tend to a lot smaller, the large ones (above 1.75kg) are best ignored as the flesh will not be as sweet and succulent. These tips and recipes can be applied to the clawed lobster also . . . so lets be decadent and cook lobster! According to a recent (2000 - 2001) study by New Zealand government departments, leaving the lobster in a chiller until it becomes inanimate is apparently the most humane way of treating them prior to cooking. Using arrowroot will not effect the colour of the sauce and keeps its bright transparency. But if over thickened it will go stringy and gelatinous and cannot be thinned down, so care must be taken. Using cornflour will not let the sauce go stringy and gelatinous, however it will effect the colour of the sauce by adding a whiteness to it and it will lose its transparency.